« Summer 2014: I’ve begun making my mark, what R U waiting for? Okay, I have a confession to make. I had always been a “people person” and avid writer, but never took the steps to implement the two in terms of leadership. Sure, I wanted to donate my skills to a cause, or project of some sort. But putting my words (and self!) to use was dampened by a terrible truth at hand: I was scared. I had never even considered myself in the same league as those that tried, and accomplished. What if I tried, and failed? This went for any opportunity that I encountered, and talked myself out of. I used my apprehension practically as an excuse to not get involved. Obviously, I realized that an attitude like that would never lead me anywhere. Besides, no one magically wakes up and claims a position, or is born with the capacity to inspire. It takes hard work, dedication, and the right mindset to do so. This is also in addition to one other key ingredient: Courage. In order to take action, you’ve got to take risks. Which is exactly why I decided to study abroad this summer. Since it was my first time flying solo, let alone to an unknown country, I was initially terrified. What if I had difficulty making friends, or experienced trouble with the course? 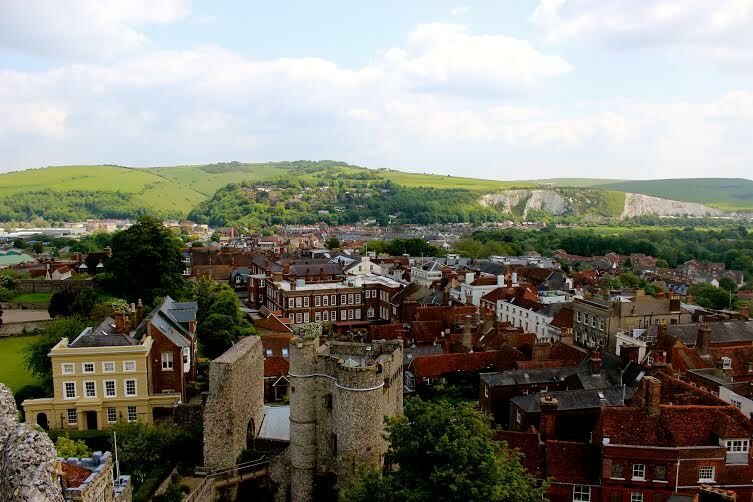 Despite these fears, I still made it all the way to Lewes, United Kingdom. And since returning, I can honestly say that I am so happy I got on that flight! I spent the greatest 2 ½ weeks of my life, learning how to be a better writer, while enjoying the other benefits of the program. Our group went on daily hikes (92 miles in total by the end of our stay! ), and visited places like the London Tower and Globe Theatre. We all grew very close, and I’m fortunate to have shared the trip with such amazing people. I never expected that so many rewards would come just from going outside of my comfort zone. Not only did I gain insight on the English culture, ample material for the portfolio I’m expected to submit, and new friends—I came back to the states with confidence. Looking at the photos I took and thinking of the memories I made, I feel a different kind of scared. Imagine if I had never worked up the nerve to embark on such an adventure! I would’ve really missed out. In anyone’s pursuit of success, service, and activism, there will always be some level of fear. It’s natural! It also indicates that we’re doing something that matters. But we should never be held back from initiating our desires. After all, being a leader takes bravery. Now, more than ever, I’m motivated to pursue my passions, and implement them within the Leadership Office and Rutgers community. Actually, I’ll probably travel beyond that. This experience taught me that there’s no limit to fueling possibilities. I’m taking chances to become the leader I know I can be…what RU waiting for? 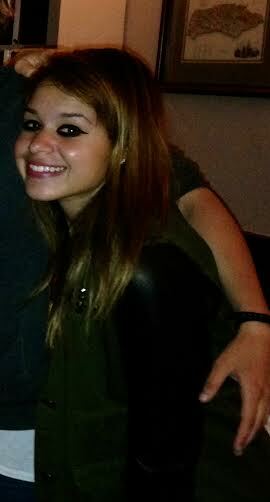 Christina Colon is a School of Communication and Information senior, studying Communication and English. She is currently the Secretary for Speak Out: Exploring Womanhood, a student blogger for the Rutgers Admissions website, and will be the Ignite Captain for the upcoming Mark Conference. The aspiring author hopes to travel the world, become more involved with community and outreach programs, and obtain an active position within the National Eating Disorders Association. She just began working for the organization as a Communications Intern. Her addictions include coffee, Marvel superhero movies, and writing. This Post was tagged inspiration, leadership, studentleader, study abroad. Bookmark the permalink.